Rhythmic Roots is the result of my interest in rudimental snare drumming, drum set and world music. It uses our biological “roots” -our legs – and traditional music forms and styles from different cultures. These ideas are set to rudimental‑style snare drum writing, with hi‑hat and bass drum accompaniment. Kulan is an original work for groovy chamber ensemble. The instrumentation is violin (Erik Carlson), viola (Tawnya Popoff), cello (Jeffrey Zeigler), saxophone (Dan Willis), Mark Vanderpoel (bass), drumset (me), and includes an electronic track. 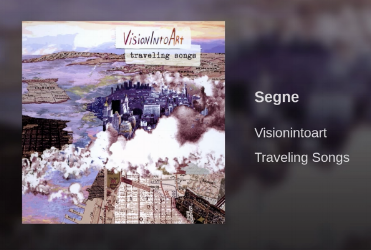 Segne | This is an arrangement of a wonderful Bela Bellow song I made for a group years ago. What I like about it, besides the awesome musicians that played on the track, is that I had a chance to record all the drums and percussion (pitched and non-pitched) myself. Fun!! I was joined by Helga Davis (vocals), Dan Willis (EWI and saxophone), Erik Carlson (violin), Tawnya Popoff (viola), Peter Sachon (cello) and Dave Philips (bass). Roger Bonair-Agard provided the beautiful words. OCV/TP | You may not immediately recognize this Tito Puente classic. This is my second arrangement of this iconic song. The first one is for percussion quartet and was performed numerous times by The New York Percussion Quartet. (Music available.) This version is a larger instrumentation and includes original, beautiful words by Mr. Roger Bonair-Agard. Ensemble members include Dave Philips (bass), Erik Carlson (violin), Jeremiah Bills (flute), Richard Mannoia (clarinet), Tawnya Popoff (viola), Paola Prestini (background vocals, grunge), Milica Paranosic (background vocals, grunge) and me (all drums/percussion and grunge). Through performing and teaching I have developed a serious interest for composition. I am blessed to have a career that fulfills all these things. Composing is a huge source of inspiration. I love it. I marvel at the endless combinations of sounds, patterns and words. I am humbled by the works produced from the best of humanity. Every time I sit to write, I learn something interesting. If you are going to be prepared for anything, then be prepared to learn.